National Geographic has just launched their first field guide app that uses the same illustrations and descriptions that many birders love from the National Geographic Field Guide to the Birds of North America, Sixth Edition . In addition to all the great illustrations, this app also offers songs and calls from the wonderful Macaulay Library at the Cornell Lab of Ornithology. The app is currently only available for the iPhone, but there will be an iPad version soon. The main species pages are layed out in this format. The "Sounds" section of this app is fantastic. 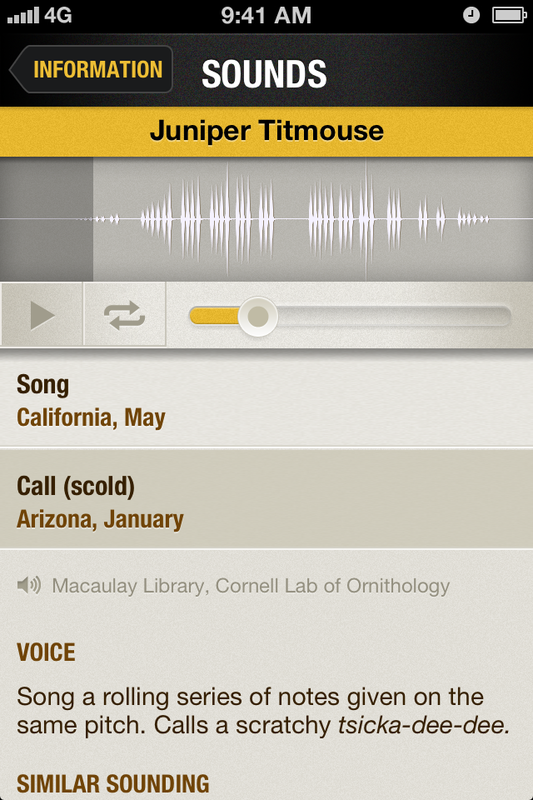 It offers multiple songs for many species and as an added bonus lists birds that are similar sounding so that you can listen to those as well to help with identifying a bird. Another very interesting addition to this app that I have not seen on any other field guide apps that I have personally used is the incorporation of video to help with identification. Currently the app offers videos for 18 species that will help you understand their behavior as well as their songs. With only 18 species, it is a little limited in what it currently offers in this department, but hopefully this will be expanded in the future. There is a lot that we can learn from video about behavior that will make us better at identifying birds. This feature can be found in the "Tool Kit" section which also offers some very good articles on all things birding - from selecting binoculars to ID tips and tricks. Just like the printed guide from National Geographic, this app offers more birds than any other North American guide, including rarities seen only once. I was very happy to see that Eric's Orange-billed Nightingale-Thrush he found in South Dakota in 2010 was mentioned in the app! The app offers extensive record keeping abilities, but without being able to submit these lists to eBird, I do not find it very useful. I feel that most birders either are or in the future will be using eBird, so a listing program does not add any benefit to the app for me. 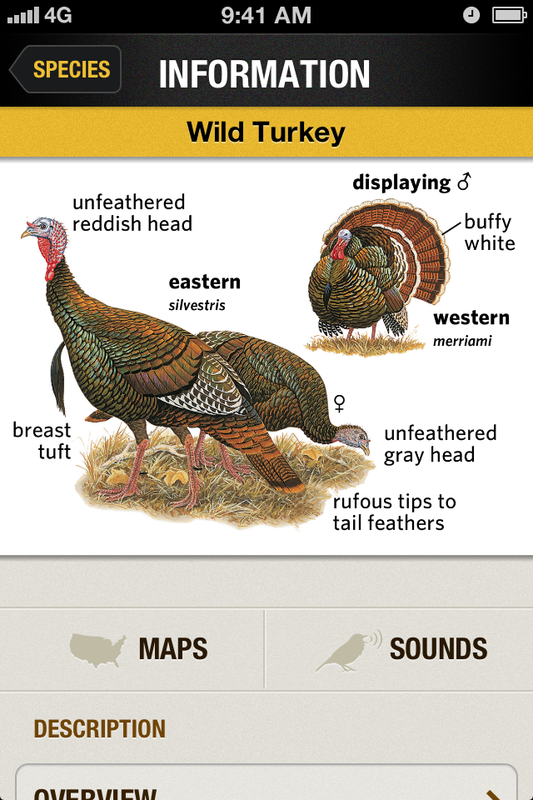 I would highly recommend that birders add this app to their collection. It offers great illustrations and will help a lot if you come across something very unusual! What do you think of the quiz function? Is it any good? The LarkBird App is almost entirely quiz based and I wonder if the new National Geographic quizes are comprehensive or, like the videos, just include a few birds. The quiz function is fun and interesting but it is not really like Larkwire. There are a lot of birds and quizzes included but it has a variety of questions on them not just songs. While it is fun, I would not consider it a huge addition to this app.